Many computer aided diagnosis schemes in chest radiography start with preprocessing steps that try to remove or suppress normal anatomical structures from the image. Examples of normal structures in posteroanterior chest radiographs are bony structures. Removing these kinds of structures can be done quite effectively if the right dual energy images—two radiographic images from the same patient taken with different energies—are available. Subtracting these two radiographs gives a soft-tissue image with most of the rib and other bony structures removed. In general, however, dual energy images are not readily available. 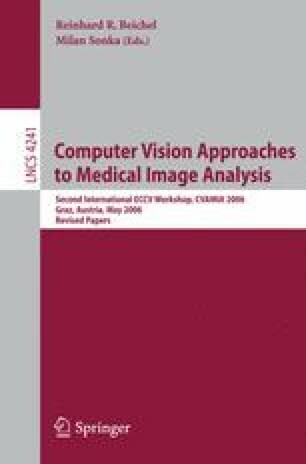 We propose a supervised learning technique for inferring a soft-tissue image from a standard radiograph without explicitly determining the additional dual energy image. The procedure, called dual energy faking, is based on k-nearest neighbor regression, and incorporates knowledge obtained from a training set of dual energy radiographs with their corresponding subtraction images for the construction of a soft-tissue image from a previously unseen single standard chest image.